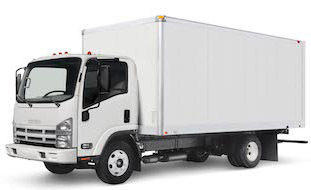 Moving company in Los Angeles. As one of the most illustrious cities in the entire state, Los Angeles, California is a phenomenal place to work and live, particularly if you’re a city dweller. With thousands of great residential and commercial properties, using movers to help you get into your new property will allow you to enjoy the relocation process more than ever before. With a phenomenal reputation throughout the California area, our movers‘ will give you an array of services for rates that you can agree with. As a PUC-licensed company with fast and reliable services, make sure that you give us a call for a personalized quote. We are One of Best professional moving companies in Los Angeles. You might think that movers in Los Angeles are a dime a dozen and they are, but the problem is finding professional workers, that have the experience and training to know how to avoid injuring themselves on the job and to make sure that your belongings are kept safe during the entire process. One of the main features that we have in comparison to competitors from Los Angeles is the fact that we can ensure you: your belongings will not be damaged as a result of our loading and offloading methods. Our movers’ has worked with hundreds of clients in Los Angeles with various types of furniture ranging from precious valuables to beautiful antiques. With our hands-on experience we know how to properly handle valuable furniture and décor to protect the integrity of your assets. When you choose to hire a team, you’ll want to make sure – you choose a movers team, which is going to look their best. Movers Los Angeles help to make sure that all of our associates are equipped with comfortable and effective clothing, which not only is suitable to impress clients but that also allows them to comfortably move furniture throughout the day. The reputation of our business is very important to us, which is why we make sure that every team member looks their best when they’re on the job. Clients deserve top of the line associates to go with the outstanding services, from Los Angeles professional moving service so we take an ample amount of time to make sure that everything is perfect for you on your relocation day.